We are proud to introduce the Driver of the Month for February 2019, Mr. Eric Emerson. Eric has been employed with Beacon since February 2014. He is originally from Calvert City, Kentucky. Eric enjoys riding his Harley motorcycle on his time off work. 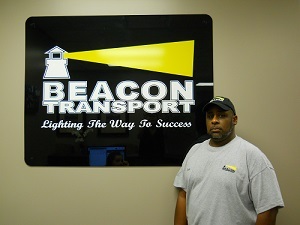 We appreciate the outstanding job Eric is doing for Beacon Transport. We are proud to introduce the Driver of the Month for January 2019, Ms. April Smith. April has been employed with Beacon since June 2017. She is originally from Newport News, Virginia. April has three children: Jarell, Chanel and Davon. She has six grandbabies. April enjoys music, word search puzzles and spending quality time with friends and family. 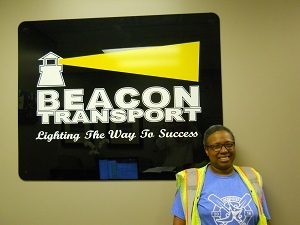 We appreciate the outstanding job April is doing for Beacon Transport. We are proud to introduce the Driver of the Month for December 2018, Mr. Landon Handley. Landon has been employed with Beacon since March 2016. He is originally from New Boston, Michigan. Landon is married to Margaret and has two children: Anna and Arthur. He enjoys fishing, hunting, reading and spending time with family. 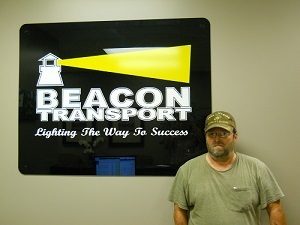 We appreciate the outstanding job Landon is doing for Beacon Transport. We are proud to introduce the Driver of the Month for November 2018, Mr. Augustine Carmello, Jr. Augustine has been employed with Beacon since May 2018. He is originally from Morgan City, Louisiana. He has one daughter: Cheyenne. Augustine enjoys hunting, fishing and spending time with his daughter and family. 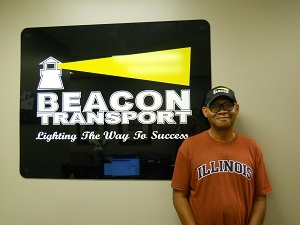 We appreciate the outstanding job Augustine is doing for Beacon Transport. We are proud to introduce the Driver of the Month for October 2018, Mr. Roustam Khasanov. Roustam has been employed with Beacon since July 2012. His CB handle is “Doc”. Roustam is originally from Republic of Tajikistan. He is married to Larisa and has a son: Roman. He enjoys fishing and reading history books and related articles. We appreciate the outstanding job Roustam is doing for Beacon Transport. We are proud to introduce the Driver of the Month for September 2018, Mr. Mark Cordes. Mark has been employed with Beacon since August 2017. He is originally from Canton, Ohio. Mark has one daughter: Ashley. 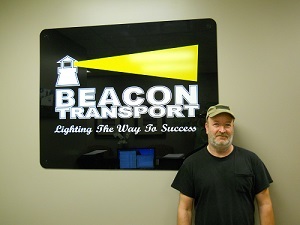 He enjoys spending time with his family during his time off and seeing the countryside as a truck driver for Beacon. 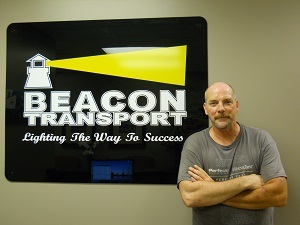 We appreciate the outstanding job Mark is doing for Beacon Transport. We are proud to introduce the Driver of the Month for August 2018, Mr. Harry Taylor. Harry has been employed with Beacon since May 2016. He is originally from Detroit, Michigan. He enjoys cooking as a hobby. 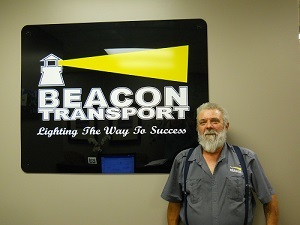 We appreciate the outstanding job Harry is doing for Beacon Transport. We are proud to introduce the Driver of the Month for July 2018, Mr. Doyle Williams. Doyle has been employed with Beacon since November 2010. He is originally from Brownsville, Tennessee. He has a son: DaVonté. Doyle enjoys bowling, riding motorcycles, basketball, football, playing drums and bass guitar, spending time with kids, working and bible study. We appreciate the outstanding job Doyle is doing for Beacon Transport. We are proud to introduce the Driver of the Month for June 2018, Mr. Leroy Mickles. Leroy has been employed with Beacon since December 2017. He is originally from Lancaster, South Carolina. Leroy enjoys watching and playing football. 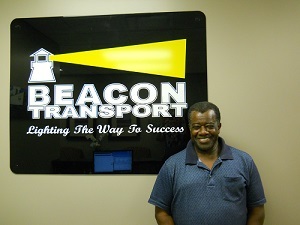 We appreciate the outstanding job Leroy is doing for Beacon Transport. We are proud to introduce the Driver of the Month for May 2018, Mr. Roy Dyson. Roy has been employed with Beacon since June 2011. He is originally from Stanton, Tennessee. He has five children: Joseph, Aaron, Veronica, Roy Jr. and Charlotte. Roy enjoys spending time with his children and grandchildren when he is at home. 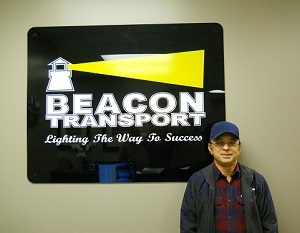 We appreciate the outstanding job Roy is doing for Beacon Transport. We are proud to introduce the Driver of the Month for April 2018, Mr. Craig Huff. Craig has been employed with Beacon since July 2013. He is originally from Ohio. He has three children. Craig enjoys electronics. 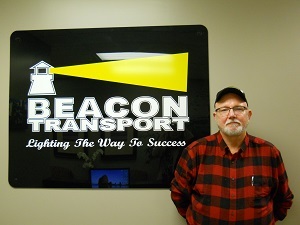 We appreciate the outstanding job Craig is doing for Beacon Transport. We are proud to introduce the Driver of the Month for March 2018, Mr. Thongphanh Soysangvane. Thongphanh has been employed with Beacon since July 2017. He is originally from Laos. He is married to Bounleua and has three children: Alex, Samantha, and Thomas. Thongphanh enjoys traveling. 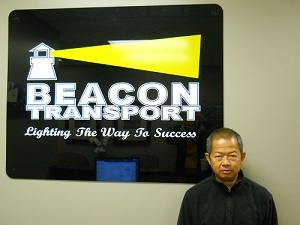 We appreciate the outstanding job Thongphanh is doing for Beacon Transport.